LA or Cebu? 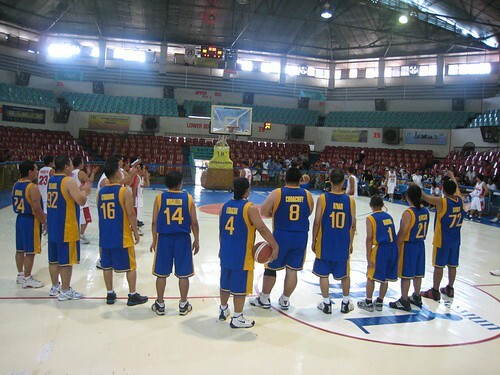 Pacman better off in…..
From Davao to Baguio to Ormoc—and in every municipality housed by our 7,107 islands—cars will park, businesses will open late, churches saying mass at 11 a.m. will experience a 75 percent drop in attendance—all our countrymen rooting for RP’s most revered sportsman in history. Is Manny Pacquiao prepared? He is. From all my readings on next Sunday’s fight, Pacman is more disciplined; he’s hardened, sharpened, ready to hammer away with his fists. So I ask: Which prepared Manny better, training in Cebu or in Los Angeles? We’ll find out next week but, this early, my gut feel says Pacquiao is better off staying in Hollywood. Why? Take basketball. Last year, to prepare for his fight against Marco Antonio Barrera, Manny stayed in Cebu from August 14 to Sept. 21. 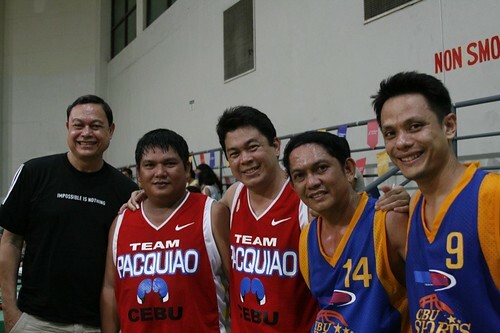 Apart from hard-training at the Rex “Wakee” Salud Gym, we know what else Manny did: He invited our band of sportswriters to play ball with him on Sundays. In our Game One, he scored 27 points. 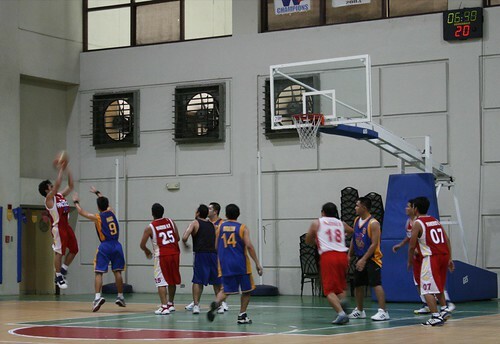 In Game 2, he drove down the lane, banged the orange ball to the backboard, alley-hooped and scored 17 points. 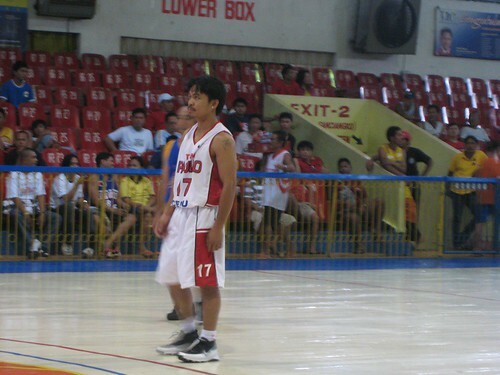 In Game 3, he told his trainer Freddie Roach, after the game, “I just ran back and forth the court.” He scored 30 points! He enjoys the game. 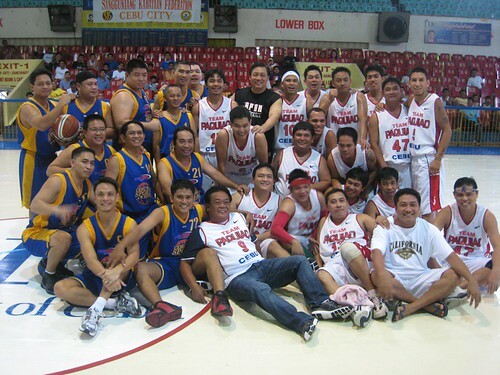 On Sundays, he opts to relax with “the boys,” his band of friends who included the actor/comedians Dennis Padilla and Long Mejia. But we knew that was scary. Risky. We knew anything can happen on the rectangle court that will jeopardize his fight on the square ring. A sprained finger. A twisted knee. A bruised hip. That was last year. Here in Cebu. Today? In Los Angeles? “No basketball. No gambling. He played pool a couple of times but they were for HBO. Manny told me he’s going to dedicate this year to boxing. He has no time for basketball,” said Roach, in an interview with Abac Cordero that appeared on yesterday’s Philippine Star. Gambling? Did Freddie Roach say that? He did. And it might have been true. During his 39-day stay in Cebu last year, Manny stayed at the Waterfront Cebu City Hotel and Casino. Did he ever get the urge to walk a few steps from his hotel room suite and enter a private room for card games at the Casino Filipino? Possibly. Freddie Roach, an astute trainer who has nurtured the likes of Mike Tyson and now, Bernard Hopkins, is correct. In Cebu, Manny Pacquiao is more popular than Aga Muhlach. In the several times that I saw him—at the Cebu Coliseum and City Sports Club for basketball, at Yayoy’s Grill one lunch time, at the Waterfront Hotel lobby—the “everybody wants a piece of Manny” line by Freddie Roach is true. A photo shot. An autograph. A chit-chat. Everybody wanted to be near Manny and—the amiable, smiling person that he is—he almost never refused. Los Angeles? Ha-ha. 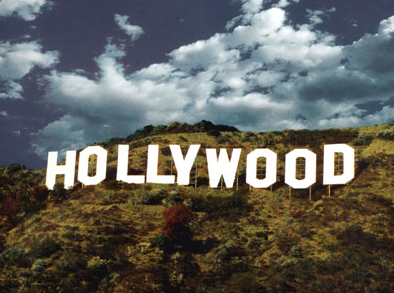 La-La Land, remember, is where Hollywood is. Is Manny Pacquiao more popular than, say, Jack Nicholson or Tom Hanks or Halle Berry (below)? Absolutely not. And so, in LA—with it’s 17.7 million population loaded with celebrities that line the Hollywood Walk of Fame—Manny can train at the Wild Card Gym, visit the Pasadena mall, run around Beverly Hills’ mountains and be hardly spotted. Which translates to one point: He can concentrate, shun distractions, avoid his frenzied fans here. Plus, one last point: In LA, there’s no Ara Mina.